I’ll admit it. 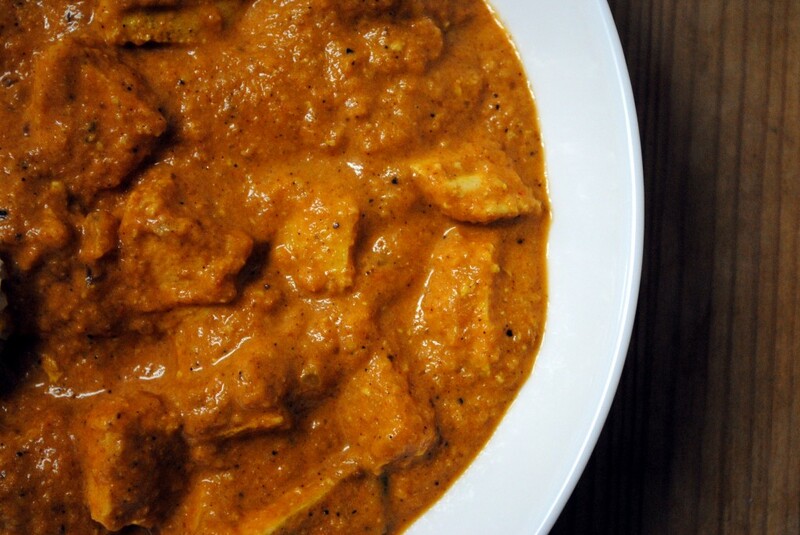 Chicken Tikka Masala is one of my favorite dishes to order in Indian restaurants. The truth is, I feel a tad guilty about it. 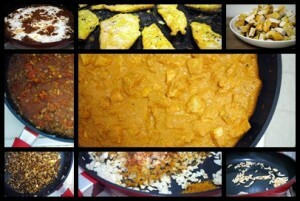 I know it’s not an authentic Indian recipe, and I am aware that it’s the ever-popular choice of the unknowing masses. But I can’t help it. It tastes good. The creamy, savory-sweet sauce (at its best when it has a hint of heat) and the tender medallions of yogurt-marinated chicken tikka make for a divine combination. So where did this British-Indian hybrid now omnipresent all over the world come from? The exact location is unclear, though many try to make a claim at its invention. The story goes that a British man was served the authentic Chicken Tikka (chicken medallions cooked in a Tandoor Oven) and sent the plate back, demanding gravy. The mystery cook added tomato soup and spices and the well-received dish, according to legend, was born. This was probably in the 1970s, but it’s surprisingly hard to say. For more reading on the interesting history this entry from Curry, Spice, and All Things Nice. The one thing everyone seems to agree on is that no two Chicken Tikka Masala recipes are the same. The basics call for chicken tikka, tomatoes, cream, and spices and there is a surprising amount of variation one can achieve with those simpleingredients. 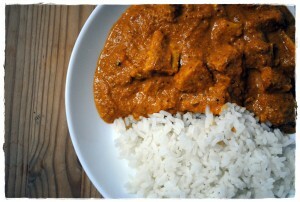 The most challenging step to making good Chicken Tikka Masala at home is preparing decent chicken tikka. Since most of us do not have the luxury of having a tandoor oven in our kitchens, the broiler is generally the next best option. 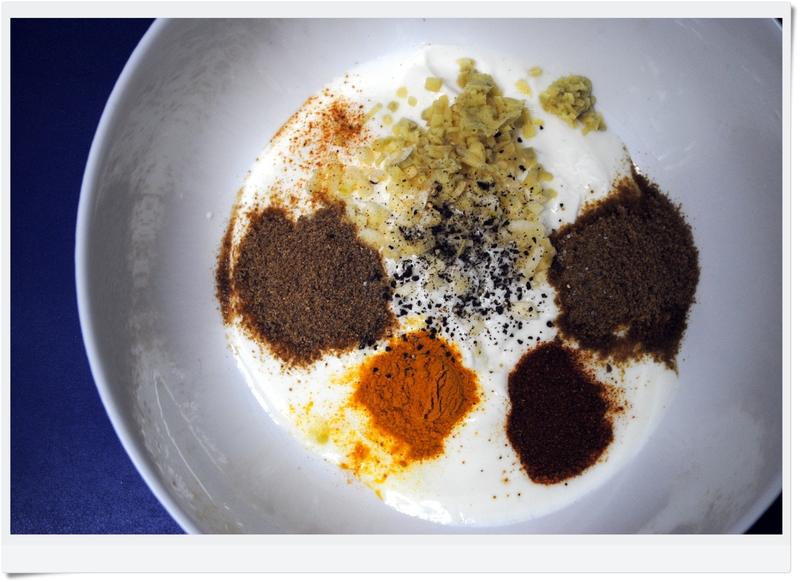 For this attempt – making an Indian-inspired, UK-invented dish in Israel – I went, oddly enough, with an American recipe from Food and Wine Magazine. In a bit of a rush, I skimped on all the times. You’re supposed to marinate the chicken over night and simmer everything for 40-plus minutes but I marinated the chicken for two hours and simmered for 20 minutes. I am including the full times because I’m sure they improve the overall product, but even with the shortcuts the chicken was tender and flavorful and the sauce was thick and satisfying. The broiled, marinated chicken was a delicious facsimile of Chicken Tikka and I would consider serving just that if the sauce wasn’t so damn good. I recommend blending the gravy with an immersion blender prior to adding the chicken for a smoother texture and more cohesive flavor, but it’s not necessary. In a large glass or stainless steel bowl, combine the yogurt, garlic, ginger, cumin, coriander, cardamom, cayenne and turmeric. Season with salt and pepper. Using a sharp knife, make a few shallow slashes in each piece of chicken. 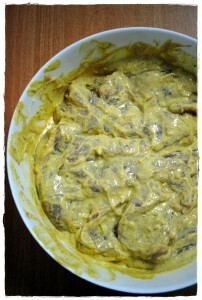 Add the chicken to the marinade, turn to coat and refrigerate two hours or overnight. Preheat the broiler and position a rack about 8 inches from the heat. 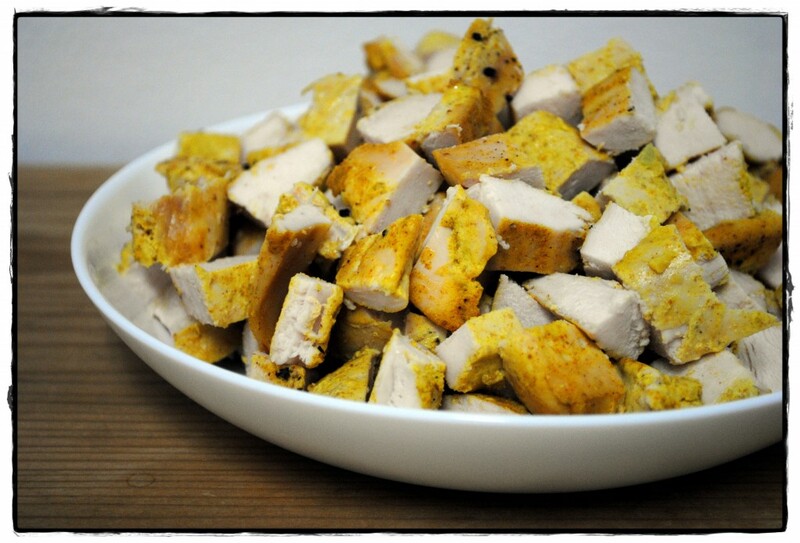 Remove the chicken from the marinade; scrape off as much of the marinade as possible. Season the chicken with salt and pepper and spread the pieces on a baking sheet. Broil the chicken, turning once or twice, until just cooked through and browned in spots, about 12 minutes. Transfer to a cutting board and cut it into 2-inch pieces. Heat 1 teaspoon of the oil in a skillet. Add the almonds and cook over moderate heat, stirring constantly, until golden, about 5 minutes. Transfer the almonds to a plate and let cool completely. In a food processor, pulse the almonds until finely ground. In a large skillet or casserole, heat the remaining 2 tablespoons of oil until shimmering. Add the onion, garlic and ginger and cook over moderate heat, stirring occasionally, until tender and golden, about 8 minutes. Add the garam masala, chile powder and cayenne and cook, stirring, for 1 minute. Add the tomatoes with their juices and the sugar and season with salt and pepper. Cover partially and cook over moderate heat, stirring occasionally, until the sauce is slightly thickened, about 20 minutes. Add the cream and ground almonds and cook over low heat, stirring occasionally, until thickened, about 10 minutes longer. Blend with an immersion blender until smooth, if desired. Stir the chicken into the gravy; simmer gently for 10 minutes, stirring frequently. 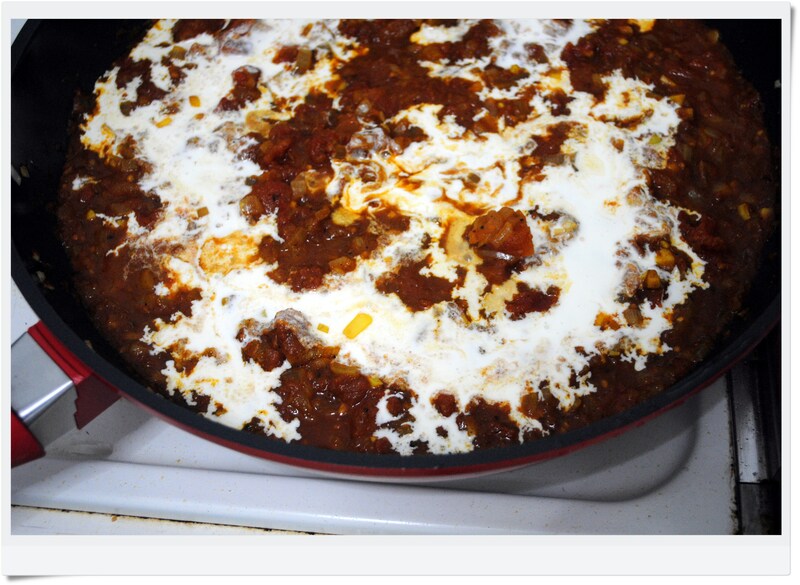 Serve with steamed Basmati or Jasmine rice and warm naan (laffa and pita make excellent substitutes). I made the chicken tikka masala today, but substituted about a cup of reduced fat sour cream for the heavy cream. It was delicious. Will buy some naan tomorrow and have it with the chicken for dinner. I just packaged the spices for this recipe in two small containers for a young friend who said she would love to try it, but didn’t have all the spices. I will use this as a gift idea for all sorts of things, because many people do not have lots of the more exotic spices; and I seldom use a full jar of any spice before it gets stale. A win-win! I am so happy I stumbled upon your site. I really found you by mistake, while I was browsing on Yahoo for something else. Anyways I am here now and would just like to say thank you for a useful post and an all round enjoyable blog. (I also enjoy the theme/design), I don’t have time to read through it all at the moment, but I have added your website to my favorites, so when I have time I will be back to read more. Please do keep up the awesome job! I am so happy I stumbled upon your site. I really found you by accident, while I was browsing on Google for something else. Anyways I am here now and would just like to say thank you for a useful post and an all round enjoyable blog. (I also love the theme/design), I don’t have time to read through it all at the moment, but I have added your website to my favorites, so when I have time I will be back to read more. Please do keep up the awesome job!